Under comments post what you would give photo #1 as a caption and photo #2 as a caption. I will sit back and enjoy (he he he) and on Monday I will choose my favorite and put a trackback to your blog. I will post on Monday a pretty funny story about the twins and middle schoolers revenge. I can’t wait to read! Have a great weekend! Press my “Follow Me” button! I want to give people a place to go that makes you smile, laugh, think, love, cry or cry laughing. A place to go after you have read the news on your mobile and now you need a story you can relate to because we are all part of some kind of family. I am so honored you stopped by and I am looking forward to sharing more of our family stories! Oh, and if you nominated me for an award I will try and answer the questions next week and pay it forward. I am so honored but I want to think about my answers. Have a great weekend! 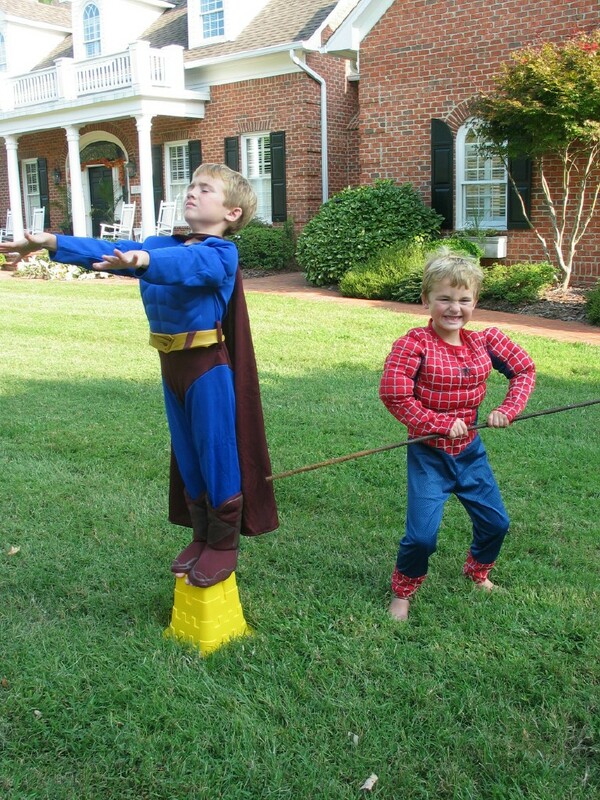 Caption #1: Superman: Spidey, go practice your stick-bending elsewhere, I’m trying to think about flying! Caption #2: The day that Batman went rogue. RIP Superman. I like your super heroes! Hey, Supes you forgot your baton. Ohhhhhh….my boys and I are LOVING this! I will also post Monday why I took the pictures. Thanks for your captions so far! Caption #1 – So, you can walk a tightrope – I can fly with my eyes closed! 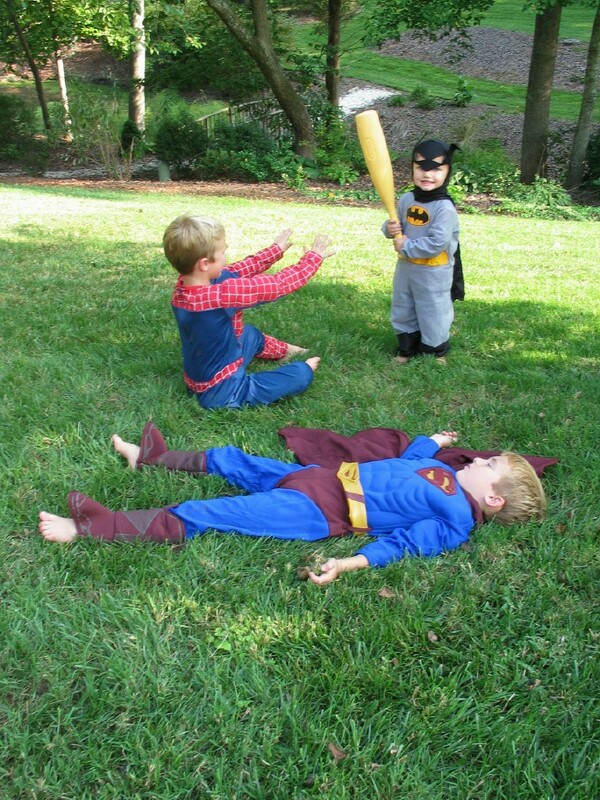 Caption #2 – Please give me the hammer, Batman – I need to whack Superman! Caption 1) SuperMan has no idea what SpiderMan is about to do to his backside. Caption 2) BatMan brings the pain to those who hurt his friends bum.